The Anova Precision Cooker is one of the most affordable tools for using conventional pots as sous-vide cookers. The second generation model supports a wide variety of pots. 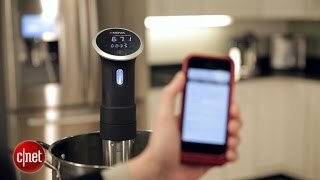 The Anova's built-in Bluetooth support allows you to control it using a smartphone app. To use the Bluetooth app you must be within Bluetooth range of the cooker. A Wi-Fi version is in the works. Some reviewers found the Anova slow to heat water to the required temperature and underpowered for maintaining it. Some reviewers complained of poor documentation. 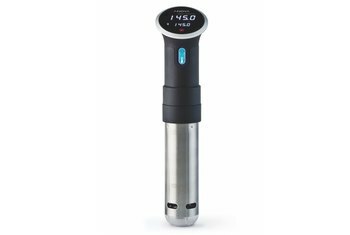 Now in its second generation, the Anova Precision Cooker is a sous-vide immersion circulator designed for consumers. 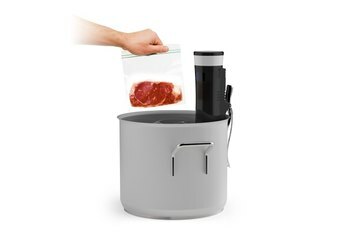 Sous-vide, a cooking technique that previously required costly equipment, involves placing food sealed in a plastic bag into a pot of water maintained at a low temperature. 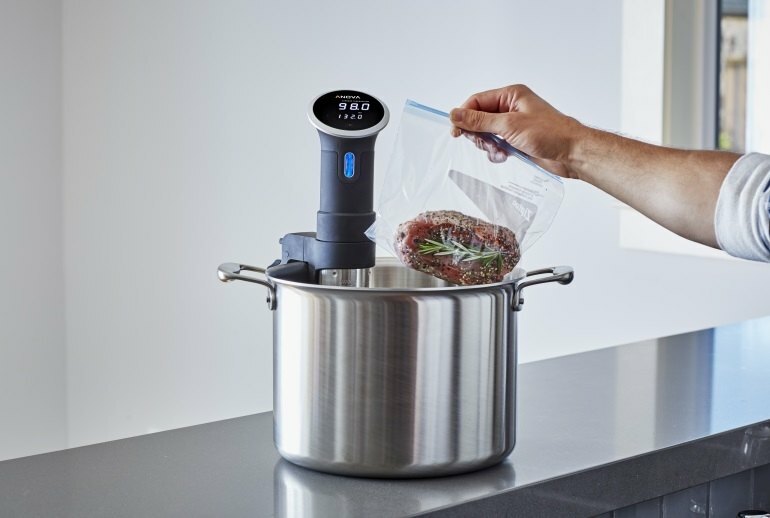 The Anova turns a conventional pot into a sous-vide cooker that you can control using a Bluetooth-enabled Android smartphone or iPhone. As a whole, the Precision Cooker is a fine device. For those looking to get into sous vide cooking, it’s an affordable starting circulator, and it might be all most home cooks ever need in that regard. It comes highly recommended. I've never had better hamburgers, you haven't lived until you've had a chicken breast that's actually tender and juicy instead of dried-out from overcooking to safe temperatures, and you'll never ruin another $25 cut of tenderloin by leaving it on the grill for just a minute too long ever again. But the #1 benefit, for me and my household, is how *easy* it is, and more than that, the minimal amount of effort involved. Never worry about an overcooked steak again. If you want to up your game in the kitchen, the Anova Precision Cooker is the tool to have. It's easy to use, its app spells things out simply for newbies, and it's easily adaptable to any pot you have in your kitchen. 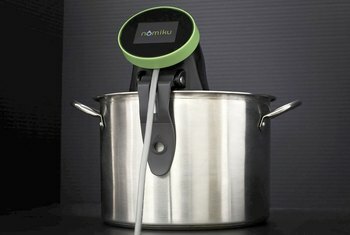 If you're looking specifically for a smart cooker, hold out for one with Wi-Fi (both Anova and Nomiku have them coming), but if you're just looking to bring sous vide into your kitchen, the Anova Precision Cooker is your best starting point. The ANova Precision Cooker is a luxury kitchen appliance to be sure, but it’s much less expensive than a traditional sous-vide cooker. And the Bluetooth feature and iOS app are handy features not commonly found on its competition. 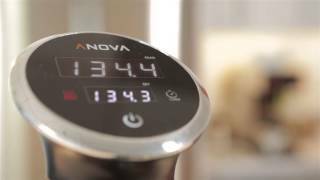 The Anova Precision Cooker is a fantastic kitchen tool, because it's an excellent, economical immersion circulator. Its Bluetooth connectivity is limited and doesn't offer much added benefit, but it's simple and easy to use regardless. 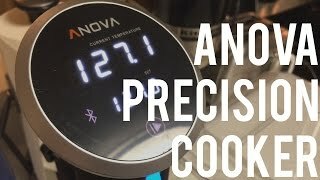 The Anova Precision Cooker has been bringing me stupid amounts of joy for the past few weeks. Sous vide, anyone? This $180 gadget makes it so, so easy. Of the nearly half-dozen sous vide machines I’ve tried over the years, there are a few reasons I like the Precision Cooker best. 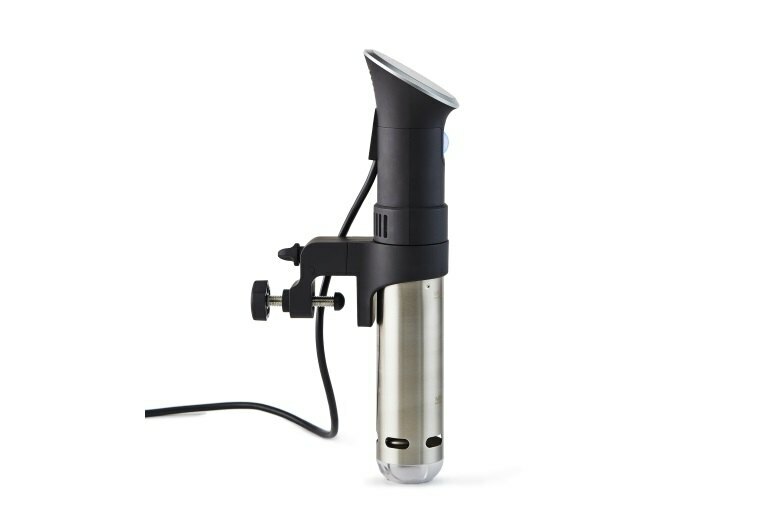 First, at $179, it’s one of the cheapest sous vide machines available. Second, it has a drop-dead-simple interface; anybody can figure out how to use it. 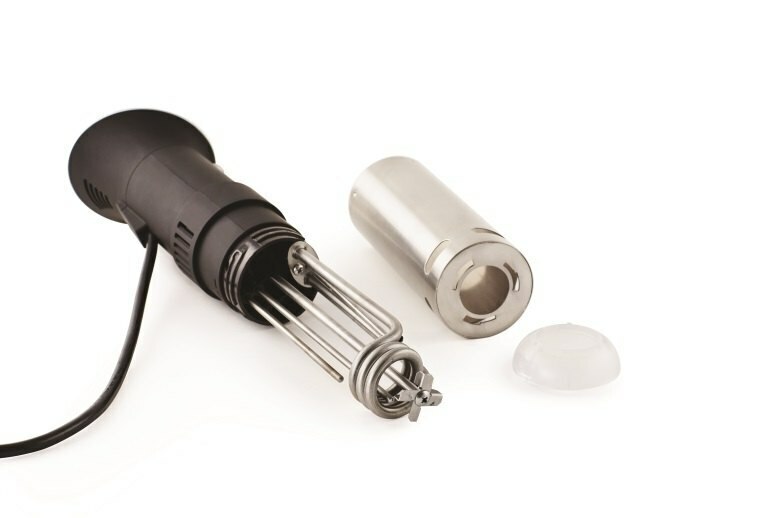 Sous vide is a cooking method used by some high end restaurant. This device brings that technology home to an average user. It is bluetooth connected so you can choose a recipe from the Anova app and it will set the temperature and timer accordingly. It took Anova a while to get the app out to public, but when it finally did it gets the job done and I don't have much complain about it.